Substrate is the base for owning a successful and healthy planted aquarium. Without good substrate, you’ll struggle to grow beautiful lush plants. But, it’s not just a case of picking up any good substrate for your planted tank. You need to understand the type of plants you want to keep, as they’ll dictate the type of substrate you’ll need. And that’s what you’re about to learn. In this article, I’m going to outline how to choose the best substrate for the plants you want to keep. 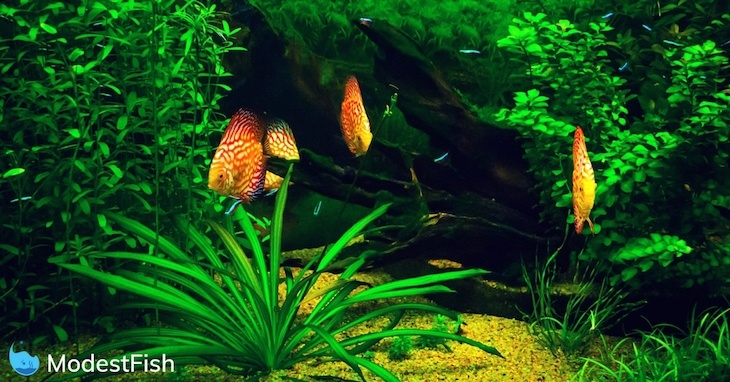 At the end, I’ll review my top picks for the best substrate for planted aquariums. Before you go ahead and look at individual types of substrate for your planted tank, you’ll need to understand some basic facts. Learning this will allow you to make the correct decision for your tank. It’s the martial at the bottom of your aquarium to root plants into. However, substrates can also have an affect on water chemistry, filtration, and the aesthetic appeal of your planted aquarium. This is important if you want to own a successful planted tank: you need to know how your plants obtain their nutrients. You have plants which get most of their nutrients from the water, and these are called water column feeders. And then you have root feeders, these are plants which obtain their nutrients from the substrate. This can affect the type of substrate you decide to purchase. Because there’s no point investing in an expensive substrate which is packed full of nutrients if you want to keep water column feeders. 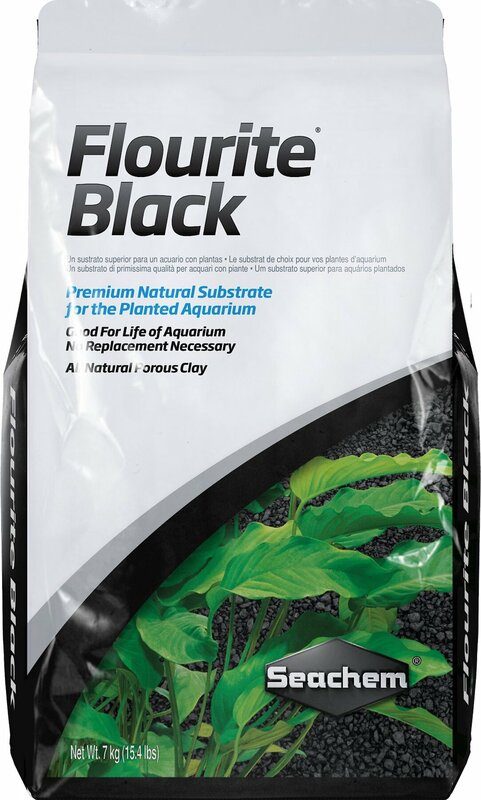 I’m not saying a nutrient rich substrate won’t do anything for your aquarium. But, if you’re on a budget, you’re money may be better spent elsewhere. As long as you choose course sand, it can be a great substrate for planted tanks. However, sand grades smaller than #3 can increase your risk of hydrogren sulfide forming during the nitrogen cycle. If you want, you can add iron supplements to your aquarium to help control the hydrogen sulfide your plants can’t deal with. If you’re plants are column feeders, gravel can work as long as it doesn’t produce a lot of waste. You could also use gravel as a top layer of a multi-substrate tank. If you’re thinking about adding gravel, you’ll need to consider which fish you will be keeping. 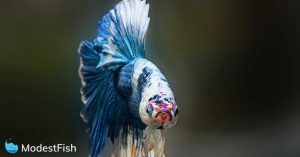 Some fish may eat small pebbles (goldfish), and some could injure themselves on sharp gravel (betta fish). So make sure you take this into account and choose accordingly. Substrates like ADA aqua soil or CaribSea Eco-Complete contain nutrients which are great if you want to keep root feeders. Complete substrates are excellent for starting your nitrogen cycle because they tend to cause an ammonia spike. This does mean you should only add this substrate to new tank with no fish. Once you’ve cycled your tank and tested the pH levels, you can add fish. By adding a base later of sand, middle layer of aquarium soil, and a top layer of gravel, you’ll mimic a natural aquatic environment. This type of layering can create a good base for your plants to root into, and offers a great environment for them to grow. And by layering the substrates, the gravel will help stop smaller particles from clouding the water in your tank. Let’s now compare the different substrates available. ADA Aquasoil is an excellent option if you want to keep many different plants. Generally, the nutrients will be good in your tank for a year. So you’ll need to provide some liquid dosing. This substrate will lower the pH and soften the water in your tank. Now, this is good for many aquatic plants, but may not be for the fish you keep. So keep that in mind. If you do need to lower your pH, ADA Amazonia Aquasoil will help. 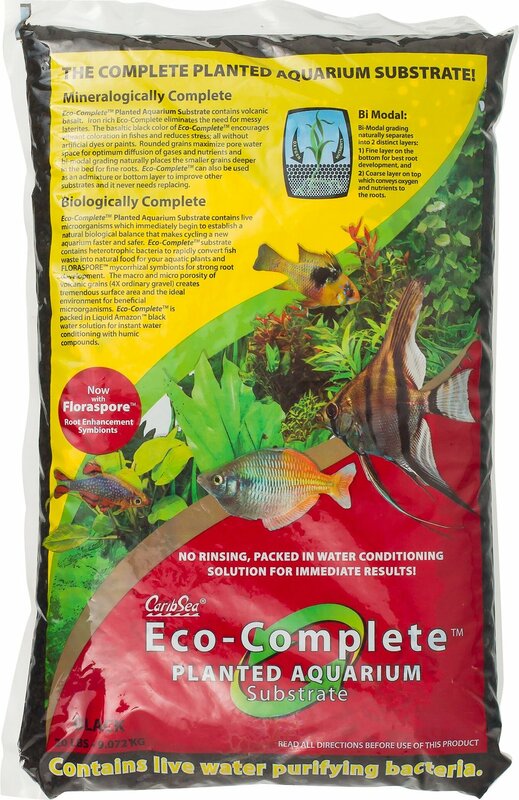 Summary: This is a premium organic freshwater substrate made from baked soil granules. A 9 liter bag is approximately 17-19 pounds – enough for a 10 – 15 gallon aquarium. A huge benefit of using Seachem Flourite is you’ll never need to replace it. The clay gravel is porous, and ideal for plants and their root structures. The substrate isn’t chemically treated, and won’t alter the water chemistry in your tank. If you choose Seachem Flourite, I recommend you clean it before adding it to your planted aquarium. If you don’t, it’s more likely to discolor the water. Summary: A clay-based substrate, it’s high in iron and has a tendency to lack in other nutrients. If you want to keep plants with more delicate roots, this isn’t the substrate for you. Made from volcanic soil, it’s packed full of nutrients. This substrate provides an excellent base for your plant’s roots to grow in and creates a biological balance, making it easier to cycle out water. It contains no artificial chemicals, dyes, or additives and won’t discolor your water. Summary: If you’re looking for a substrate which looks cool, adds some nice texture, and is packed with nutrients, this might be the one for you. This is another substrate which will naturally lower the pH in your tank. Meaning this is a great option if you’re struggling with high pH levels. The formula has been specifically designed to also help support betta fish and dwarf shrimp. The only real con with this substrate is it can make your water cloudy for a few hours when you add it in. Summary: A nutrient rich substrate, it promotes the growth of healthy bacteria and is a fantastic bottom layer for your plants to set their roots in. If you want to add some bright colors, this could be the one for you. Hermit Habitat Terrarium substrate is an all natural gravel which provides a base for your plants to root. However, it offers no nutritional value, so it’s suited to plants who primarily get their nutrients from the water. It’s less work, but you will have to replace this every 6 months. Summary: A basic substrate, its primary purpose is to add color and shine to your planted aquarium. Your article is the best on substrate for planted aquarium that I have read so far. Any one that reads this article will know which substrate to purchase.My sincere congratulations. The production of hydrogen sulfide is a myth. It instantly bonds to oxygen molecules in the water. 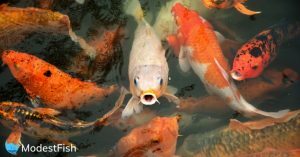 Check out some of the expert chemist fishkeepers on youtube. Thank you for your comment, Simon. That’s certainly an interesting point you make. Could you provide me with some links to your sources? I’d love to check them out. Hi, thank you for this very good article. I plan to setup a tank and I am therefore looking for what kind of substrate to use and your article helps me a lot for this choice. – What is the lifespan of all these substrates? for a year” and after what’s happening? Thank you for your comment. So as your plants feed off of the nutrients in the substrate, they’ll be used up. After a year, you may be required to dose your soil to replenish the nutrients.